Cloud computing provides companies with enterprise-level technology and computing power without the enterprise-level price tag. The cloud also allows businesses to better manage their IT environments as moving to the cloud reduces the amount of in-house network monitoring and physical system maintenance needed to host and run applications such as servers, storage, and email. Also, least we not forget to mention the fact that with the cloud, you only pay for what you need. Regardless of if your company is deciding to move to Amazon Web Services (AWS), Microsoft Azure, or another cloud computing platform, there are a few things that you need to consider when making the move to the cloud. Moving from in-house hardware to a cloud environment isn’t something that is done in a matter of minutes. Depending on the size of a company’s infrastructure, the amount of data they are storing, and how many applications need to be moved – the process of migrating to the cloud could take a few days to even a few weeks. 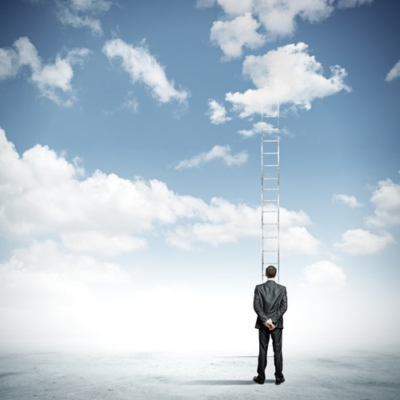 Knowing this, businesses need to set up a fully-strategized plan to move to the cloud. Mapping out what should be moved when, allows businesses to make the transition, without causing major disruptions in business operations. Plus a plan allows you to keep track to make sure you don’t neglect any components that need to be taken off-premise and into the cloud. One of the biggest benefits cloud computing offers is its scalability and on-demand service offerings. Because you only pay for what you need, you can easily scale up or down with a few clicks of your mouse in the cloud admin dashboard. It can be very easy to forget to keep track of when you have scaled up or down in the cloud as the process is so simple to do. At the end of the month, you may find a credit card bill amount that you simply weren’t expecting. This is why it is important to keep track of whenever you scale up or down, so you know how much you are spending for the cloud. Tracking these expenses over time also allow you to better plan your IT budgets by identifying trends in spending month-to-month. Cloud providers know that any outage is bad for a company. Not only does it bring business processes to a halt, it can also mean the loss of a lot of money for a company. This is why most cloud providers offer a 99.9% uptime guarantee or more (AWS for example offers a 99.99% availability of objects over a given year). However, you cannot neglect the .01% of time. Businesses need to have a contingency plan in place should a portion of the cloud be unavailable. Additionally, companies can look into cloud backup services that create copies of your cloud infrastructure so you can boot from a backup if needed in case of a service outage.